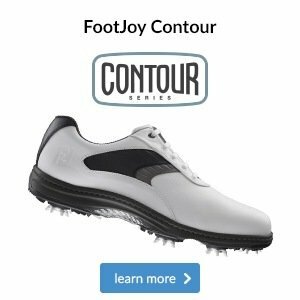 Welcome to our latest newsletter, packed full of competition news, shop offers and useful hints and tips to help your game! Remember to keep up to date with daily news by liking our Facebook page here and follow us on Twitter here. 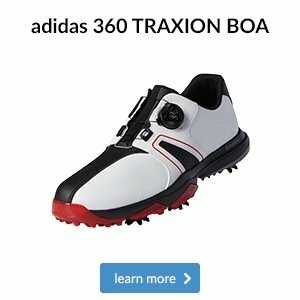 - Phil beats all the other pairs on his own! - The Countdown to Black Friday is on! The second round of the Winter League was played on Sunday and we had a turn up for the books as the winning 'pair' consisted of just one very in form golfer! Phil Sheridan was without his partner Tim Hulme this week and they also missed the first round so they had a bit of making up to do and Phil did this in spectacular fashion by scoring 23 points off his 26 handicap, Phil doesn't get to play in many competitions but he is clearly making progress with his golf. 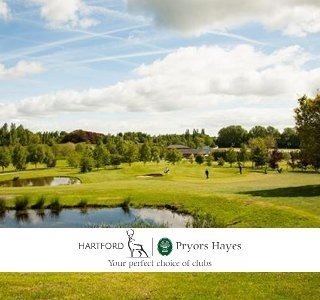 There was a three way tie on 23 points decided on a card play-off, second place went to Captain Ian Wharton and Wendy Lock including a fine birdie from Wendy on the 5th hole and in third place were Paul Underwood and Paddy Scanlan who also missed the first round. After this latest round a number of pairs have now moved into contention and the third round isn't far off - taking place on Saturday 11th November, this Saturday we play the November Medal starting at 11am. Even the best golfers need a little help from time to time, one of our PGA coaching staff Jonny Pearce had a quick lesson with Adam Powell the other day and after just 5 minutes he went from mis-hits flying off line to straighter shots hit right out of the middle, if you look at the photo on the left you will see his right elbow had become disconnected from his body, on the right his 'flying elbow' is corrected resulting in a squarer club face and much straighter and longer shots. 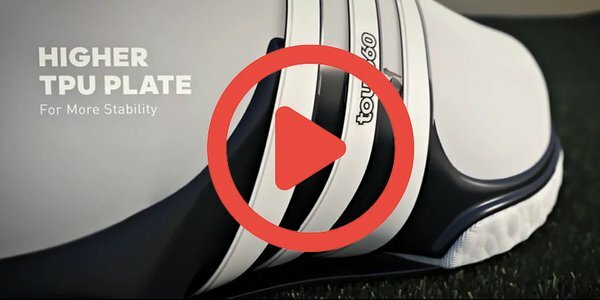 We have three PGA professionals on hand to give your game a helping hand and don't worry - they won't over haul your swing but instead give you something simple to work on to improve your game over the winter ready to hit the ground running next season! 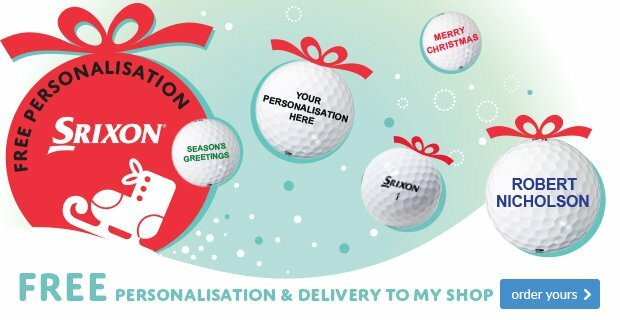 A series of lessons would also make an ideal Christmas present for a loved one or friend, you can purchase a gift voucher for a lesson from as little as £25 now from the shop. To book a coaching session or to order a gift voucher just contact us here. Before Christmas we have another major event in the shop taking place in less than 4 weeks time, it's our now famous ‘Black Friday’ sale weekend on Friday 24th November until Sunday 26th November. The ladies played the first of their Winter Foursomes competitions on Thursday and luckily they didn't get soaked for once! Lady Captain Sandra Peake paired up well with Margaret Cherry to take first place on nett 74.5, Alaine Britton and Kath Houghtook runners up spot on nett 77. 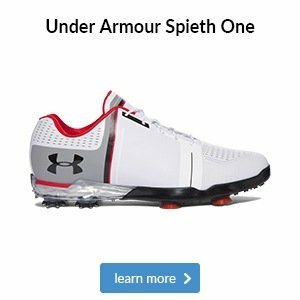 Look out in the shop for some new ladies autumn/winter clothing from the hottest brand in golf, Under Armour. As well as this new stock, we have Glenmuir ladies thermal winter trousers, FootJoy ladies winter boots and gloves, Under Armour Cold Gear base layers and Nike ladies wind tops. If you're a lady golfer, call in now to check out the new gear and make sure that you're ready for the winter! This week’s video of the week is an entertaining watch from the European Tour, you may have seen in the news last week that amazingly two ladies made hole in one's playing together on the same hole, the odds of this were calculated at well over 1 million to 1! 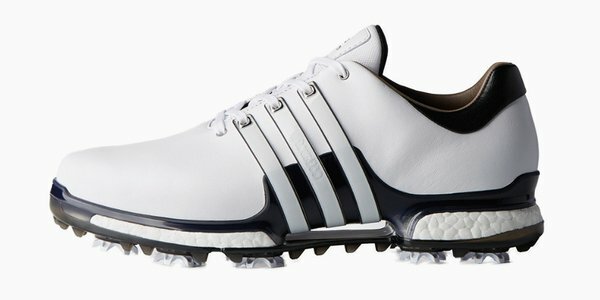 But did you know that stats suggest the odds of a Tour player making a hole in one are closer to just 2,500 to 1? Before the Italian Open, Eduardo Molinari was set the challenge of having 500 balls to try to record a hole in one on a 145 yard par 3 and when his very first shot landed inches from the pin it looked like he could defy the odds. 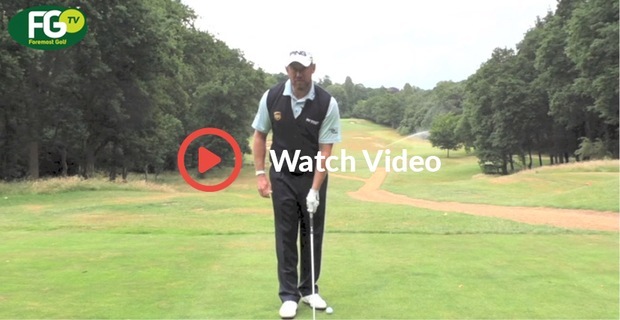 Watch here to see if he could record a hole in one! Last Tuesday a number of seniors made the short trip to nearby Sandiway Golf Club for an away day organised by Seniors Secretary Pete Wildin. Funnily enough the winner and runner up were one of the few visitors who had never played at Sandiway before. Chris Coates finished top with Graham Bower in second place and by all reports the course was in excellent condition and a good time was had by all. The remaining seniors who did not travel played a nine hole Stableford, the winner was Brian Singleton with 19 points including a birdie on the 6th and John Webster was in second place with 17 points. Hopefully your kids are enjoying this week's half term and there's still plenty going on here to keep them entertained, this Saturday afternoon we have two completely FREE junior golf taster sessions with Adam Powell Golf Academy. For the slightly more experienced junior golfers the next term of the Junior Academies start next week, see the attached poster for all times and dates and the prices. If you would like to bring your child or children along for any of these sessions please let Adam know or contact us here to get them booked on. 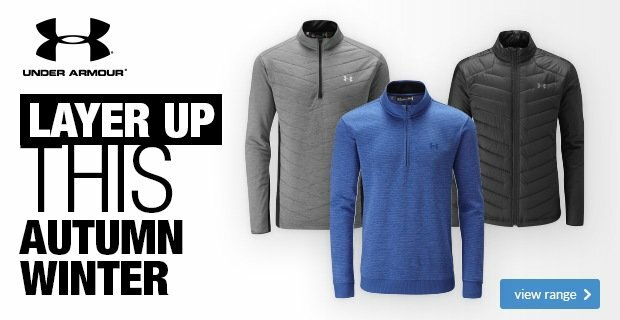 Heading into winter sees a greater chance of battling the elements when out on the course. 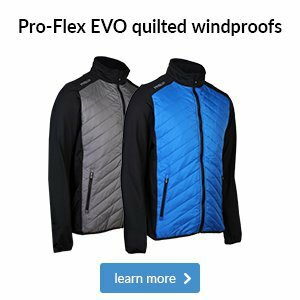 Whether you’re after a waterproof bag to keep your clubs and belongings dry or a lightweight option so you can get around the course faster, we have plenty of options available here in-store. 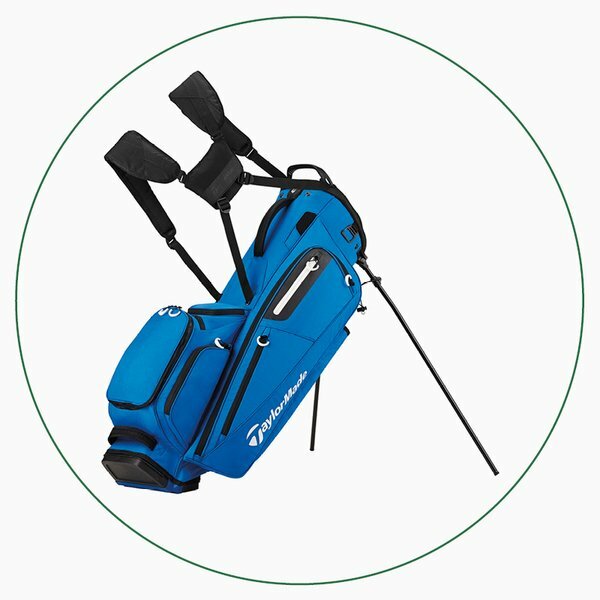 This lightweight bag is an ideal trolley companion, with 10 pockets in total, including two full-length apparel pockets, a lined valuables pocket, a laser rangefinder pocket and a scorecard pocket. 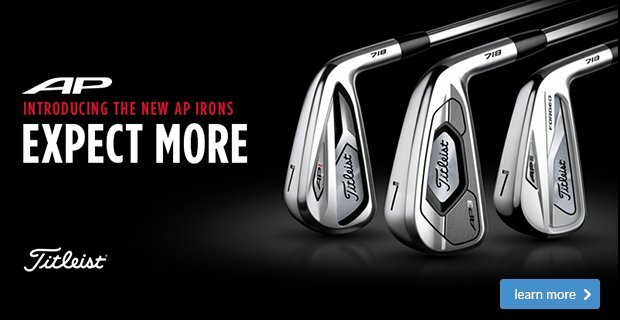 You also get a 14-way top for easy club access, plus a versatile base that helps it sit securely without twisting. 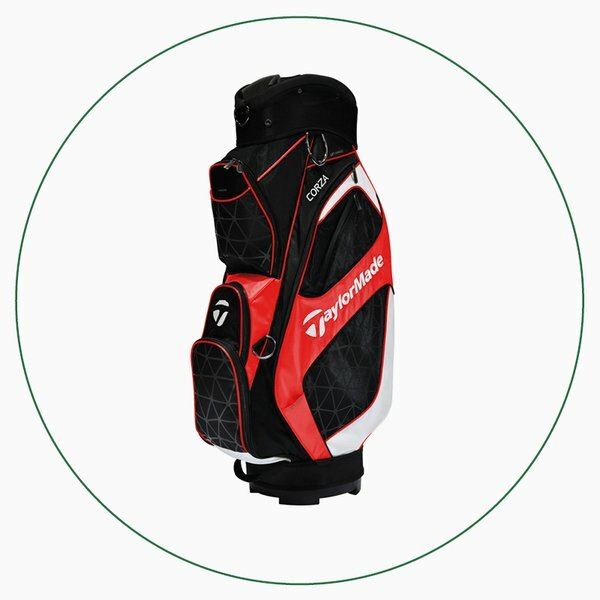 If you hate club crowding try this stylish carry bag, which has full-length dividers to improve ease of use. Its Dual-Density Comfort Strap makes carrying more comfortable too, while the water-resistant valuables pocket with a micro-suede lining will also protect your gear.